← Permanent Pretty. The Art of Tattoo Makeup and Micro-pigmentation. How a”peel”ing! Glycolic Acids and The Best Home Peels! I absolutely love how my skin looks after a good facial. The satiny smoothness… that glycolic glow – it’s like living photo-shop! If you’re like me and a weekly trip to the spa doesn’t quite fit in with your schedule or budget, a home peel is a pretty great way to go. This tiny titan is able to squeeze beneath the top layer of dead skin cells to push them off and reveal the next layer of fresh skin that’s fighting to come to the surface and shine (that’s the little burn you feel in a peel). This allows your complexion to sparkle and sets you up for those fab post-spa “ohs” and “ahs” from all your friends! When you’re shopping for an at-home peel, keep these tips in mind: First of all, you will need at least 7-10% strength glycolic acid to get results, and you will need to patch test your skin for sensitivity like with any new skin product. That being said, tip two is to keep in mind you are at home so don’t go over 20% unless you have some experience with home peels; anything higher should be left to the pros. Finally, the most common schedule for your best, brightest shine is a 5 minute session once or twice a week for 4-6 weeks so be sure you buy a large enough supply. You know you want to try it, so here are a few suggestions! Exuviance Performance Peel AP25 is a banging brew of both alphahydroxys and other ally acids that will leave your skin twinkiling like you’re twenty. A 6 week supply is only $60 on neostrata.com. For the product princess, Murad makes a whole line of glycolic goodies, but the 4 week peel system( $165; murad.com)is the way to go for your glow. If you want to have a little cash left over for a post-peel pair of heels, Neutrogena Restorative’s 5 Minute Facial will still leave you with a lovely luster and it’s only $21.24 right now on ulta.com. Always use home peel products as directed. Appealing? Absolutely! Great information! I didnt realize that you can do them 1-2 times per week. 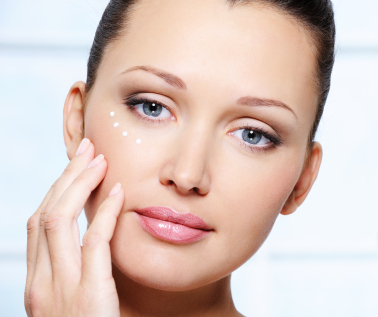 You can actually do a micro-peel as frequently as every other day with a low strength product. Just let your skin’s sensitivity be your guide to let you when to back off. If your skin is getting dry, red, and irritated, you know that either your product is too strong, or you’re using it too often. You should always cut back during the sunny times of the year too… sun and freshly peeled skin don’t play nicely together. Thanks for writing! We love your comments.